The diagnosis of MS is based on clinical signs and symptoms combined with diagnostic testing, which may include MRI, CSF analysis, and visual-evoked potentials (VEPs). Definitive diagnosis of MS requires evidence of demyelinating disease disseminated over time and space (McDonald et al., 2001). That is, clinical symptoms should last at least 24 hours and should be separated by at least 30 days, and should affect two different areas of the CNS: the brain, spinal cord, or optic nerves. The clinical symptoms vary, depending on which part of the CNS is involved. Three symptoms are highly suggestive of MS: optic neuritis, nystagmus resulting from internuclear ophthalmoplegia, and Lhermitte's sign, which is an electrical sensation extending down the back and legs with flexion of the neck. The International Panel of the Diagnosis of Multiple Sclerosis developed criteria for the diagnosis of MS (McDonald et al., 2001), revised in 2005 and summarized in Table 42-18 (Polman et al., 2005). It is important to remember that alternative diagnoses should be considered and excluded. These would include CNS vasculitis, paraneoplastic syndromes, sarcoid-osis, leukodystrophies, CNS tumors, infections, CNS lymphoma, and nutritional deficiencies, such as B12 deficiency. The precise relationship between clinical symptoms and MR findings are not well understood. Thus, MRI alone is not useful in predicting the clinical course of MS. T2-weighted MR images best define the size of white matter lesions, and gadolinium can reveal the disruption of the blood-brain barrier associated with an active MS lesion. In general, MR findings consistent with MS must include at least three of these findings: (1) one gadolinium-enhancing lesion or nine T2 hyperintense lesions if gadolinium-enhancing lesions are not present; (2) at least one infratentorial lesion; (3) at least one juxtacortical lesion; and (4) at least three periventricular lesions. These lesions should be at least 3 mm in cross section (Barkof et al., 1997; Tintore et al., 2000). Spinal cord lesions can be substituted for one of the brain lesions as long as it reveals little or no swelling of the spinal cord, is unequivocally hyperintense if detected with T2-weighted MR images, at least 3 mm in size but less than two vertebral segments in length, and occupies only part of the cross section of the spinal cord (Polman et al., 2005). Modified from McDonald WI, Compston A, Edan G, et al. Recommended diagnostic criteria for multiple sclerosis: Guidelines from the International Panel on the diagnosis of multiple sclerosis. Ann Neurol 200;150:121. MRI, Magnetic resonance imaging; CSF, cerebrospinal fluid; VEP, visual-evoked potential. 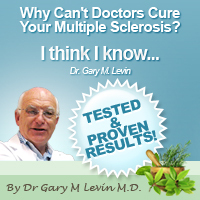 The CSF analysis of patients with MS generally demonstrates a normal opening pressure, cell count, glucose level, protein level, and culture. The most clinically useful CSF abnormality is the presence of oligoclonal immunoglobu-lin G (IgG) bands resulting from intrathecal IgG synthesis, which can be found in up to 90% of patients with MS (Freedman et al., 2005). IgG bands are not specific to MS and are also seen in sarcoidosis, AIDS, and subacute sclerosis panencephalitis. The value of CSF analysis is mainly limited to MS patients with only a few lesions on MRI, or to make the diagnosis of primary progressive MS, as discussed later. Visual-evoked responses may also provide supporting evidence for MS, particularly in situations with few abnormalities on MRI. Other VEP analysis offers little in establishing a diagnosis of MS (Gronseth and Ashman, 2000).